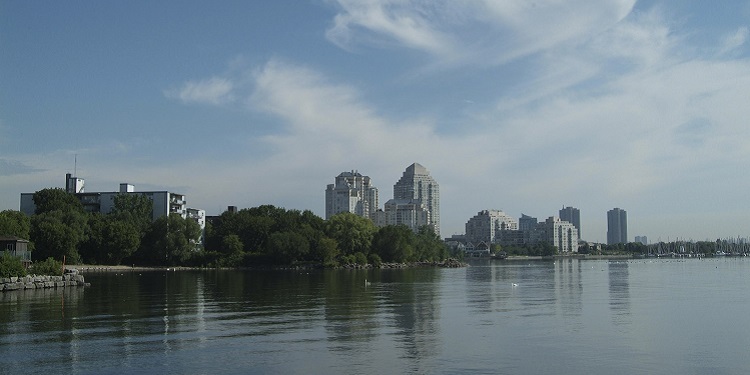 Toronto and Region Conservation has developed criteria to provide guidance in the planning and design of stormwater management infrastructure for developers, consultants, municipalities, and landowners. TRCA’s Stormwater Management Criteria document outlines the processes and infrastructure needed to address flooding, water quality, erosion, water balance, and natural heritage. It was developed based on the principle that the establishment of appropriate, effective, and sustainable SWM practices requires a solid understanding of the form, function, and interrelation of the water resources and natural heritage systems. There are many stormwater management practices that can be incorporated into a proposed development. 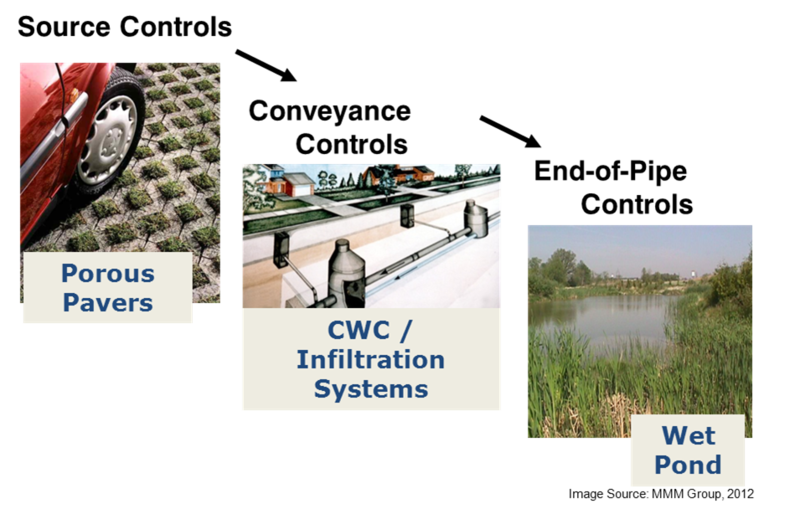 SWM practices that take an integrative treatment train approach are essential ingredients for implementation of successful stormwater management strategies. Accepted practices are described extensively within the Low Impact Development Stormwater Management Planning and Design Guide. 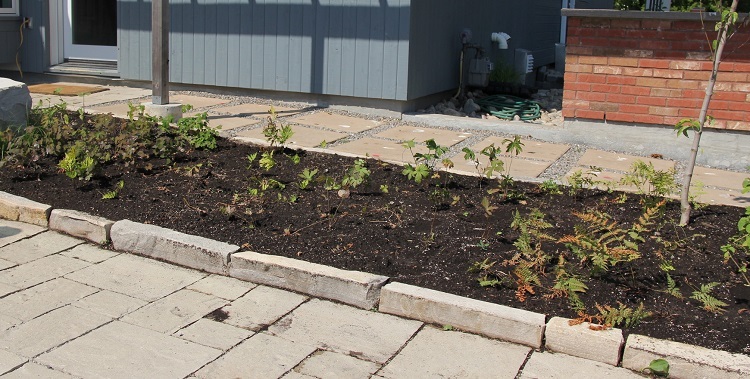 Low Impact Development (LID) is a stormwater management strategy that seeks to mitigate the impacts of increased runoff and stormwater pollution. LID comprises a set of site design strategies and distributed structural best management practices that harvest, filter, evapo-transpire, detain and infiltrate stormwater. Integrate Stormwater into Planning (Multi-disciplinary approach). Focus on runoff prevention (innovative planning, LID practices). Treat stormwater at the source as a resources (respect natural flow paths). Create multifunctional landscapes (site aesthetics, energy, conserve potable water, wildlife, parks). Educate and maintain (legal agreements, maintenance plans). Rapid urban expansion and associated construction activities are a significant source of stress to the natural environment. Construction activities accelerate natural processes of erosion and sedimentation as vegetation is stripped away and soils are left exposed. Stormwater runoff from these sites contains high levels of sediment and associated contaminants. Implementation of adequate water quality controls at construction sites is crucial to ensuring downstream receiving waters and aquatic habitats are adequately protected.